Watch the new Ole Smoky Tennessee Moonshine “Born From” commercials above and below. “Tennessee’s first legal moonshine distillery” is a major sponsor for Moonshiners Season 3 advertising their own legal moonshine which continues to grow. BourbonBlog.com‘s Tom Fischer recently visited Ole Smoky Moonshine Distillery and hosted a tasting comparing the characteristics in Bourbons and aged whiskeys to Ole Smoky Moonshine. Watch Tom’s interview with distillery founder Joe Baker below. 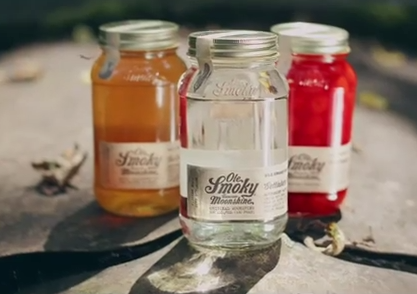 Ole Smoky is born from a recipe that was distilled on the illegal side of moonshine in Tennessee for many generations. Ole Smoky Moonshine Distillery has become the top visited distillery in North America drawing many thirsty crowds visiting Gatlinburg, TN. For the latest in the world of whiskey, moonshine and Ole Smoky, subscribe to our newsletter on this link.